The AppleCare Protection Plan and AppleCare+ extend your service coverage and give you one-stop service and support from Apple experts. Conveniently add AppleCare coverage at the same time you purchase your new Apple device at BestBuy.com or your local Best Buy store. You can also add AppleCare for a limited time after you make your purchase. Add your Apple device to your cart. Then add the AppleCare Protection Plan or AppleCare+ from the pop-up window. At checkout, ask your Best Buy Customer Specialist for AppleCare when you purchase your Apple device. 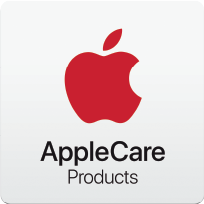 AppleCare+ for iPhones paid monthly must be added within 14 days of your iPhone purchase; and AppleCare for Apple TVs can be purchased up to 12 months after the date of your Apple TV purchase. Visit a Best Buy store with proof of purchase and receive a visual inspection of your device. To receive AppleCare product support or service, schedule a reservation at a Best Buy store by choosing your product below. You can also visit an Apple Store, call Apple at 1-800-275-2273, or visit Apple.com/support. If you have any questions or changes required on your AppleCare+ Monthly Pay Plan for iPhone, please contact 1-800-433-5778.